The last time Jeep offered a pickup truck, it was a long twenty-six years ago. But now the wait is over. The 2020 Jeep Gladiator is here, with a proper pickup bed. One cool feature is that you can fold the windshield flat and remove the doors and roof just like on some current versions of the Jeep Wrangler. It is a big event for Jeep and for Jeep fans, who have waited for a Jeep pickup truck. The all-new Jeep Gladiator offers the proven 3.6-litre Pentastar V-6 engine at launch with a 3.0-liter EcoDiesel V-6 engine being provided in 2020. 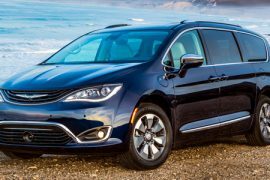 The FCA US 3.6-litre Pentastar V-6 engine delivers 285 horsepower and 260 lb.-ft of torque and features Engine Stop-Start (ESS) as standard equipment. It is engineered to provide a broad torque band with a focus on low-end torque – an essential trait needed for extreme off-roading. 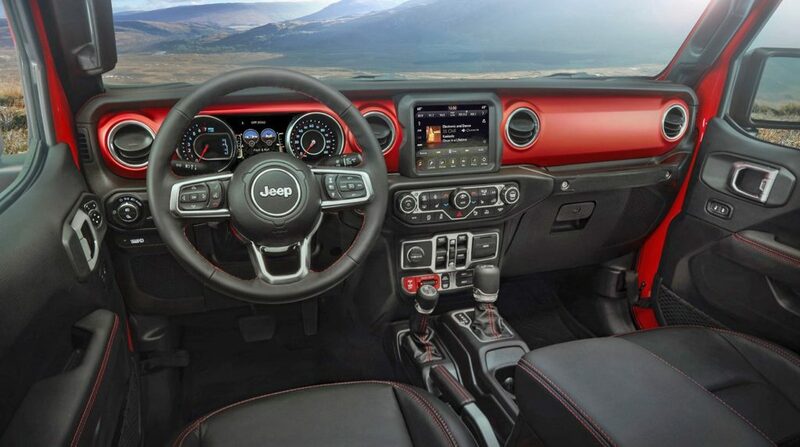 A six-speed manual transmission is standard on all Gladiator models equipped with the 3.6-liter Pentastar V-6, and an eight-speed automatic transmission is optional. 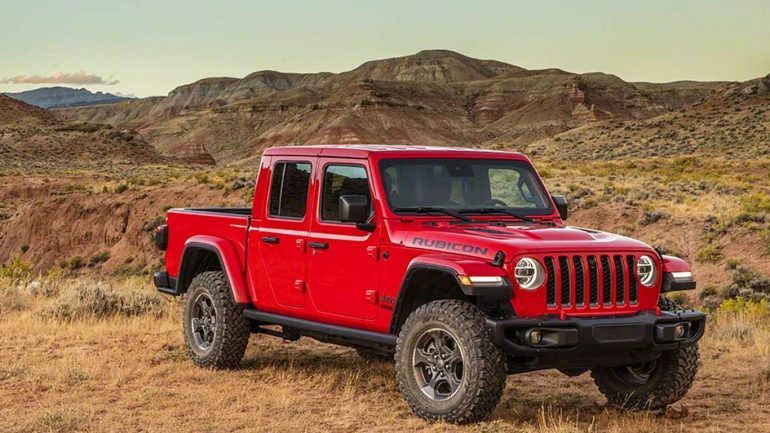 The all-new 2020 Jeep Gladiator boasts a rugged, distinguished design aesthetic that is immediately recognizable with customary Jeep design cues, such as the legendary seven-slot grille. There will be a range of Gladiator model to choose from: Sport, Sport S, Overland and Rubicon. Gladiator Overland and Rubicon models offer available LED headlamps and fog lamps that project crisp white lighting, adding to the truck’s modern look. Gladiator models equipped with LEDs feature daytime running lights, which form a halo around the outside perimeter of the headlights. Forward turn signals are positioned on the front of the trapezoidal wheel flares. Expected on the off-road performance Rubicon trim, is equipment such as “Fox aluminum-bodied 2-inch-diameter shocks,” lockers, a disconnecting front sway bar, a 4:1 low range transfer case ratio, and 33-inch mud terrain tires. The new truck apparently has an approach angle of 43.6 degrees, a break over angle of 20.3 degrees, and a 26-degree departure angle, along with 11.1 inches of ground clearance. Aside from the break over angle, those are all at the top of the mid-size truck segment. The all-new 2020 Jeep® Gladiator – the most capable mid-size truck ever – builds on a rich heritage of sturdy, dependable Jeep trucks. 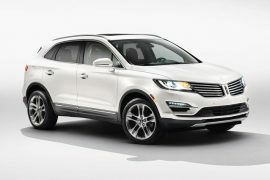 It has an unmatched combination of rugged utility, authentic, unique Jeep design, a versatile rear bed, open-air freedom, smart functionality and versatility, best-in-class towing and 4×4 payload, advanced fuel-efficient powertrains, superior on- and off-road dynamics and a host of innovative safety and advanced technology features. “Unquestionably a truck and instantly recognizable as a Jeep, the all-new 2020 Gladiator is the ultimate vehicle for any outdoor adventure,” said Tim Kuniskis, Head of Jeep Brand – North America. The all-new 2020 Jeep Gladiator delivers unmatched capability with best-in-class towing and 4×4 payload capacity, composed on-road driving dynamics and passenger safety. Legendary off-road capability comes courtesy of the Command-Trac and on Rubicon models Rock-Trac 4×4 systems, third-generation Dana 44 axles, Tru-Lock electric front- and rear-axle lockers, Trac-Lok limited-slip differential, segment-exclusive sway-bar disconnect, and 33-inch off-road tires. The all-new 2020 Jeep Gladiator delivers legendary off-road capability courtesy of two advanced 4×4 systems. The Command-Trac 4×4 system, standard on Sport and Overland, features a two-speed transfer case with a 2.72:1 low-range gear ratio, and heavy-duty third-generation Dana 44 front and rear axles with a 3.73 rear axle ratio. As for protection, the Rubicon will apparently get rock rails along the rocker panels to keep the truck’s body safe from dings, and also metal bars aft of the rear axle to protect the long rear overhang. Clearly, this has been a long time coming, but the recent resurgence of the mid-size truck segment means it was only a matter of time. The Jeep truck is here. And by the looks of it, it appears to be a legitimate, off-road worthy, solid axle-having, body-on-frame machine, just like Jeep diehards have been hoping for over a quarter of a century. The all-new 2020 Jeep Gladiator arrives in showrooms in the second quarter of 2019.